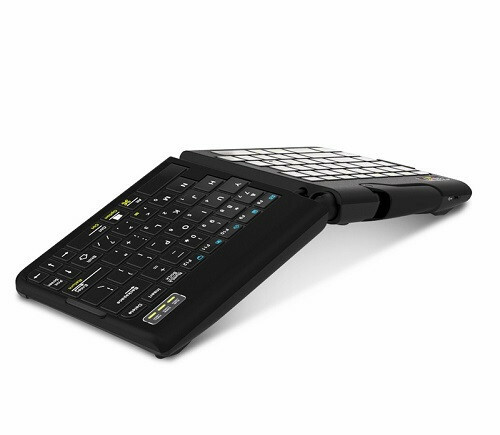 Combine the portability and comfort of a fully ergonomic Goldtouch mobile keyboard with the best in Bluetooth technology, and what do you get? The elegant Go!2 Wireless Mobile Keyboard. 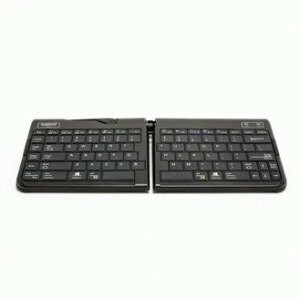 Featuring full-sized keys, our patented lock and lever system, and now, completely compatible with wireless technologies, this mobile keyboard is truly the perfect companion for the on-the-go worker. At Goldtouch, we believe you shouldn't have to sacrifice comfort when you’re on the road. That’s why we've made the Go!2 Wireless Mobile Keyboard both slim and fully adjustable, so you can find the perfect ergonomic fit for you, wherever you are. And with world class Bluetooth technology, it’s no wonder so many consider this to be among the best mobile keyboards for Android and iPhone around. Stop wasting time and effort untangling wires or installing drivers. Just sync this savvy mobile Bluetooth keyboard with your tablet or smartphone, and you'll be ready to make the most of your day, whether you’re working from the plane, train, or home office.